Glad To Hear You’re Interested In Martial Arts! Whether you have experience or you’ve always wanted to try it, but never have – Each of us have our own reasons why we’re still looking, and ultimately, those are the reasons that brought you here. To get your new journey at MKG Madison started on the right path, we encourage everyone to take these 3 steps! 1. Visit us! We will take you on a tour of our facility. During that time you can ask our staff any questions that you may have. Then watch a class so that you can see the program in action! 2. Then if you like what you see you can join us for our FREE Introduction to the MKG Method – “Foundations” Workshop. This workshop is held once per month. 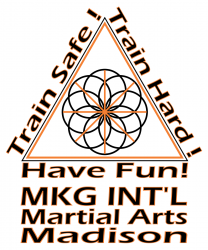 Starting in January 2018, MKG Madison will offer a FREE monthly Introduction to Martial Arts Workshop for new and perspective students. This 90 minute small-group workshop will allow you to sample much of the beginner-level material found in the MKG Method at a pace that is intentionally slow, structured, and perfectly safe. 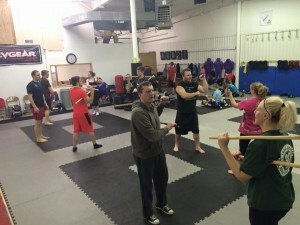 Head Instructor Josh Prior, and assistant instructors or senior students, will help you develop a basic understanding of kicking, punching, hand trapping, and other fun and exciting skills found in the MKG Method of Integrated Martial Art. As always, the environment will be friendly, welcoming, and inclusive, and the content will leave you with a great workout and a new set of skills. Space is limited to ensure maximum value. Don’t delay in registering you and/or your partner(s) today! 3. After enjoying your FREE workshop, you can extend your training experience with a 4 Week Introductory Membership for only $49. This membership option will allow you to try MKG Madison “On for Size”. You can see if we “fit” what you are looking for in a martial arts school! To register for our next FREE workshop just click on an event below. If you know what you want. You don’t have to wait! Click below and started on your 4 Week Introductory Membership today!